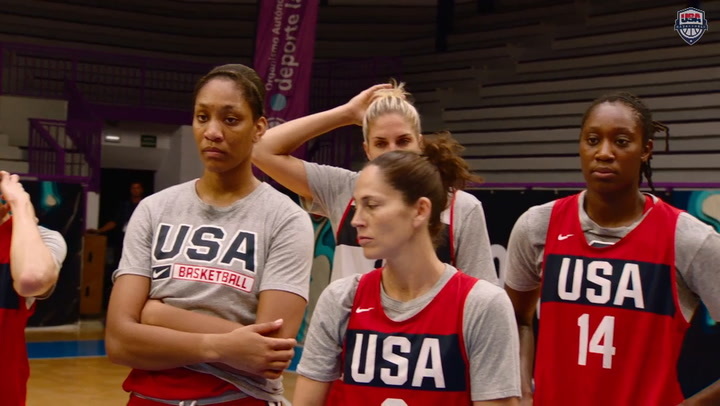 The USA Basketball Women's National Team, which has three exhibition victories under its belt after defeating Canada on Sept. 15, Australia on Sept. 19 and China on Sept. 20, will look to make it four wins when it takes on host France on Sept. 21 (11 a.m. EDT) in Paris. While the game isn't being televised, fans can follow the USA Basketball Twitter account for game updates and via the live online stats. 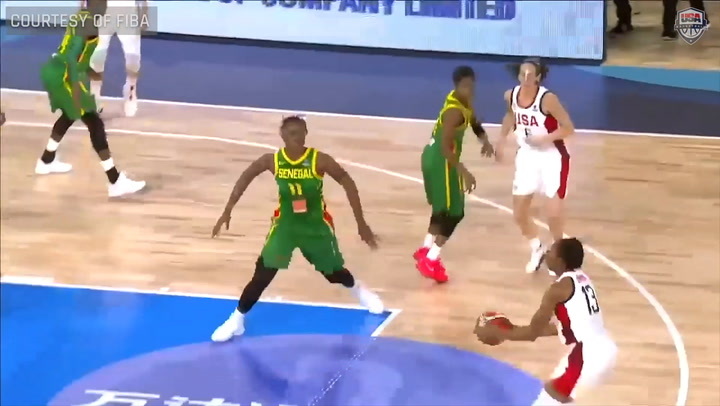 Though not much more than pride will be at stake in the USA’s matchup against France on Sunday afternoon, the game in fact is a rematch of the 2012 Olympic gold medal game, which saw the USA earn an 86-50 win. The contest also is the final game of the round-robin France International Tournament, which the USA is looking to sweep. And while the USA is hoping to remain undefeated, France topped China 74-54 on Sept. 19, but fell to Australia 71-55 on Sept. 20, and will be looking to leave Paris on a high note. The USA, in its three exhibition contests, has seen a balanced scoring effort as 11 of the 15 athletes on the roster are averaging between 5.0 and 11.0 points a contest. Nnemkadi Ogwumike (11.0 ppg., 4.7 rpg.) leads the team in scoring and rebounding, while Seimone Augustus (8.3 ppg.) and Breanna Stewart (8.0 ppg.) round out the USA’s top three scorers. In France's two exhibition games in Paris, the team has been led by guard Celine Dumerc (13.5 ppg. and 3.5 apg.) and Sandrine Gruda (12.5 ppg. and 5.0 rpg. ), both of whom also suited up for France in the 2012 Olympics. 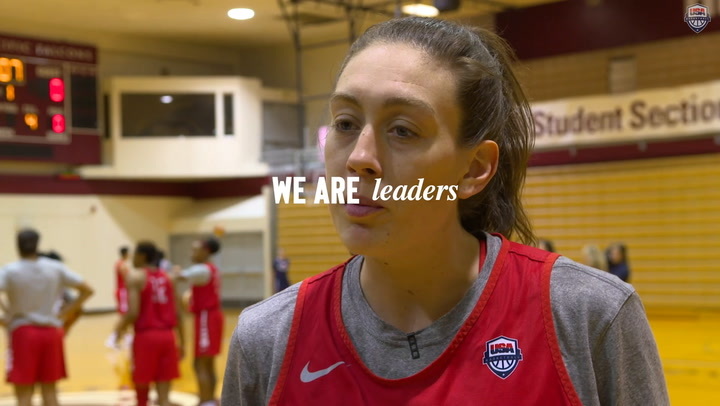 For USA head coach Geno Auriemma, who currently has 15 players on his roster – three more than he will be allowed to keep for the upcoming FIBA World Championship, the contest is mostly about preparation. “They are younger than they were at the Olympics,” Auriemma said of France. “They are trying to make that transition, but they still have a couple of experienced players. And they are home. They are going to have a great crowd helping them. They are very well organized. They run their stuff, and they try to get you to play defense for the whole shot clock. Hopefully, we can speed them up a little bit, like we did in London two years ago. Overall in FIBA World Championship play, the USA is 6-1 against France, with the lone loss coming in 1971 and the most recent victory, an 81-60 win, recorded four years ago in 2010. How France qualified: 2013 European Championship silver medalist (8-1). World Championship overall record: 32-34 (.485). World Championship medals: 1 bronze medal (1953). Key players in 2013 European Championship: Celine Dumerc (6.8 ppg., 3.0 rpg., 2.7 apg.) and Isabelle Yacoubou (11.1 ppg., 5.4 rpg.) were named to the 2013 European Championship All-Tournament Team; Sandrine Gruda (12.0 ppg., 5.8 rpg. ), Edwige Lawson-Wade (7.9 ppg., 2.4 rpg., 3.3 apg.). French players in the WNBA: Gruda (Connecticut Sun, 2008-10); Lawson-Wade (New York Liberty, 2005; Houston Comets, 2005; Seattle Storm, 2006; San Antonio Silver Stars, 2007-10); Ndongue (Los Angeles Sparks, 2006). USA vs. France at the World Championship: 6-1. 2012 Olympic finish: silver medal (7-1).